I’ve had a lot of luck over the years finding vintage paranormal books at my favorite used book store, Homestead Books in Marlborough NH. I have also bought many a used copy of the books of James Randi and other skeptics, but never found any vintage skeptic books until now. A rabbit out of a hat…. has to be a magician. The book was just sitting on top of books in the vintage children’s section. I picked it up thinking it must be a mystery novel. 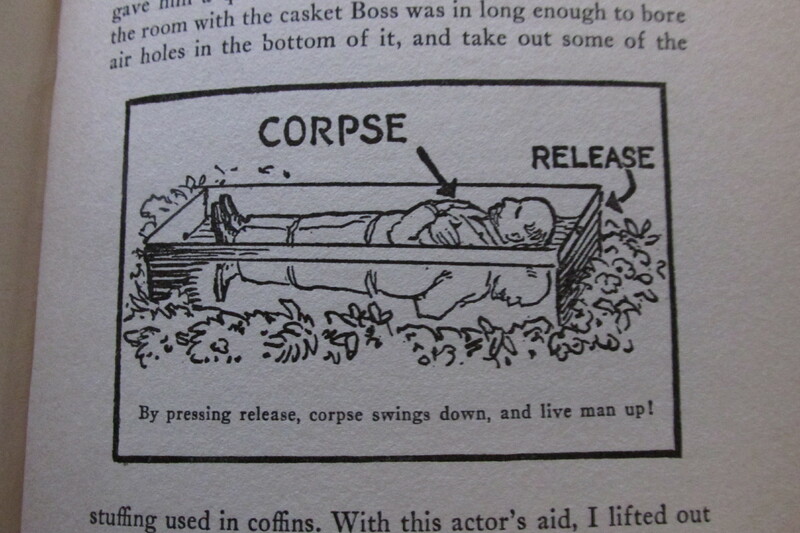 Instead I found a delight from the 1930’s, a book by a magician exposing fakes! From Houdini to Randi, magicians have been in the forefront in the fight for critical thinking, and educating the general public in how easy it is to be fooled. 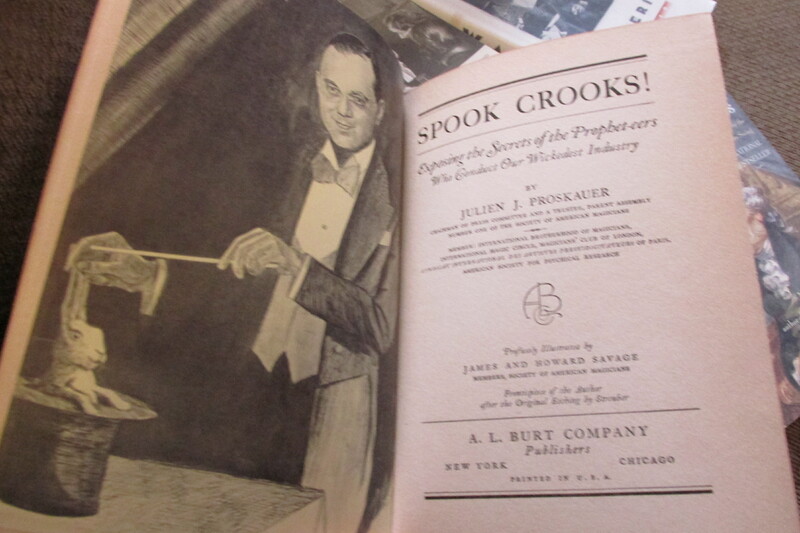 Julien Proskauer was a well known magician, as well as writer and fake buster. You have to like this guy. The dedication made me immediately like this man. Who hasn’t complained about this about their spouse (be it husband or wife). 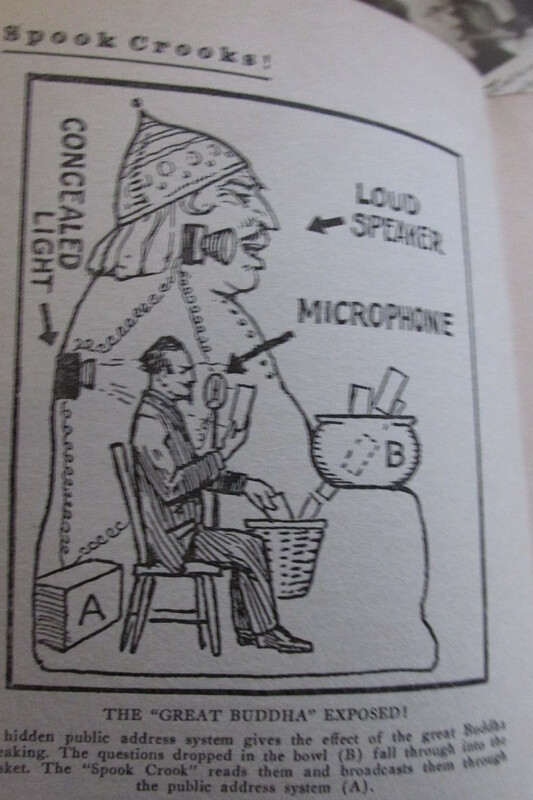 The book also is filled with incredible illustrations. Simple with good explanations, and a very vintage feel. I think I’d pay just to enjoy seeing this. 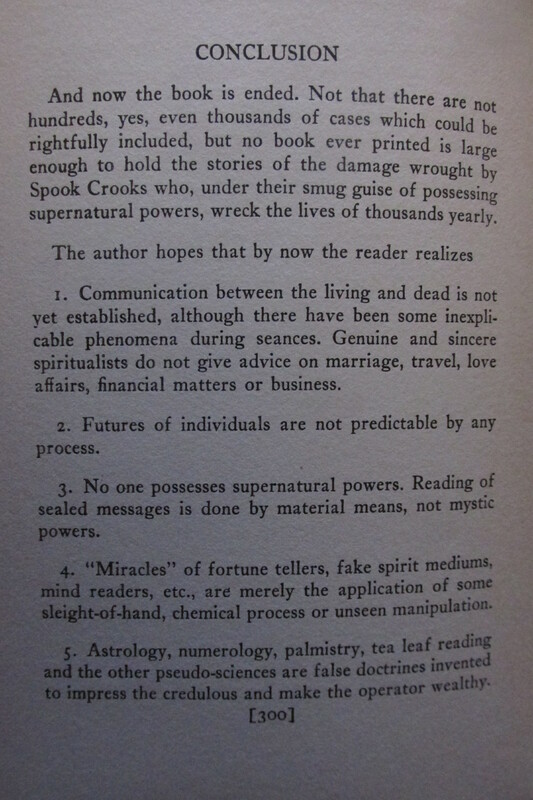 The tie in between skepticism and magicians is a long one. 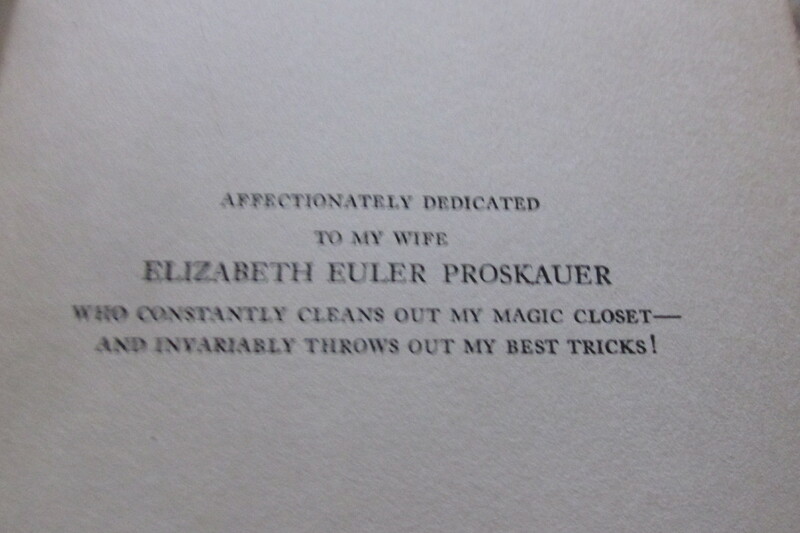 It’s a delight to discover yet another magician that wrote a book for the masses. While dated, the book is an amusing form of consumer protection, and must have been an exciting read. People enjoy being “in the know”, and while some secrets that are used by magicians are revealed, I’m thinking the reveal was part of the appeal of this book. This is another trick I’ve love to see. The short version. Don’t worry at one time I wouldn’t have believed this. We just need to keep doing the longer version. At only $3.00, a good buy! Joining my skeptic bookshelf as soon as I’m done reading!